Wait, what about Bill Gates? Though perhaps not has exciting as a sweat-soaked "developers!" rant, the search for Microsoft's next CEO has still managed to captivate. It is, however, looking like it's all coming to an end very soon. 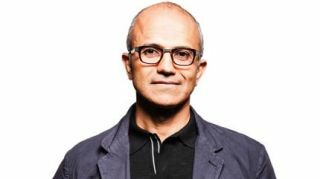 Bloomberg reported Microsoft's board is gearing up to name Satya Nadella, head of its enterprise and cloud division, as Steve Ballmer's replacement. The decision isn't final, but Nadella is one of the stronger candidates to emerge from a pool that included former Nokia CEO Stephen Elop, Microsoft Executive Vice President Tony Bates, COO Kevin Turner and Ford CEO Alan Mullaly, according to Bloomberg. As Recode tells it, Nadella is indeed in the front running for the position, thanks in no small part to his familiarity with the company. What's more, the site noted the decision could come within the next week. With everyone at Microsoft apparently at their wits end waiting for a new CEO name to ring through a company-wide email, it seems the board will make its decision sooner rather than later. In addition to the Nadella nugget, Bloomberg reported that Bill Gates may be out as Microsoft's chairman in due time. Gates, who co-founded the company in 1975, may still play an active role in the business, if that's what the board and new CEO want, sources said. It's not clear why Gates would leave his role as chairman, though it may be that Microsoft wants a clean slate once its new chief executive takes charge. Sources named John Thompson, Microsoft's lead independent director, as a potential Gates replacement. The potential executive changes would come at a critical time for Microsoft as it navigates a struggling PC market, impending ownership of Nokia's devices division, a next-gen gaming console war and upcoming improvements to the Windows and Windows Phone platforms. The company's Build conference is just over two months away, and there we expect to hear news on Windows Phone 8.1 and possible word on Windows 8.2 or even Windows 9. Having a new CEO settled in come April 2 seems in everyone's best interest. Well, Windows 9 may be coming, but Windows 8.1 is by no means chopped liver.